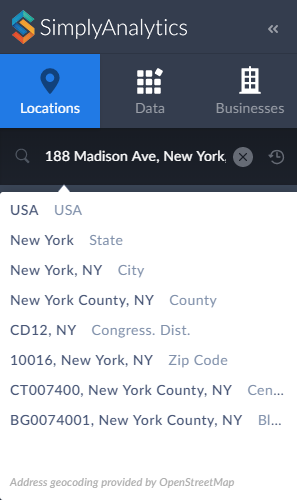 SimplyAnalytics will present you with a list of locations that surround your address. Select the geography you’re interested in, and that’s all there is to it! 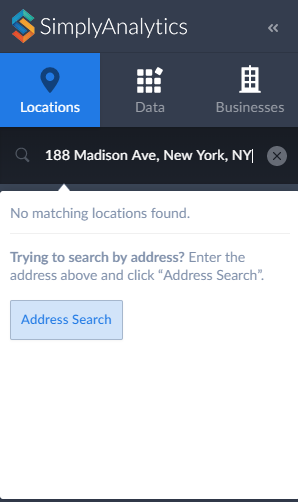 You can now map or use the location within a report.